Sessions is operating under his own conception of American values — and his own conception of law. There are two ways to interpret the testimony of Attorney General Jeff Sessions as he faced yet another round of questioning over his role in the Russian interference scandal. The first is that he is a skillful liar, flagrantly flirting with perjury as he denies or pretends to forget his well-documented connections to Russian officials and his relationships with Kremlin-tied Trump lackeys like George Papadopolous and Carter Page. The second is that Sessions is suffering from severe memory loss, has a poor understanding of US law and is incapable of meeting basic requirements of his job, like properly filling out security clearance forms. But both of these interpretations lead me to the same conclusion: It is dangerous for Jeff Sessions to be the Attorney General of the United States. There is arguably no one in the Trump administration who has been as loyal and consistent a player as Sessions. He was the first Senator to endorse Trump, appearing at a rally with him in August 2015 when Trump was still a long-shot candidate. He has remained a steady presence ever since: Running the national security board of Trump’s campaign starting in March 2016 before becoming Attorney General in February 2017. In an administration replete with resignations and dramatic dismissals, Sessions has remained stable and bore witness to it all, making him perhaps one of the most well-informed people in Trump’s circle. But despite his unparalleled access — or, more likely, because of it — Sessions claims to have tremendous difficulty recalling the last two years, at least when it comes to discussing matters of national security while under oath. When forced to confront new developments in the Russian case head on, Sessions simply changed his story, seemingly unfazed that this made his prior testimonies look deceitful. “I always told the truth,” he told the House Judiciary Committee in a possible act of meta-perjury, seemingly lying about his seeming lies. For some House officials, Sessions’s lack of concern about the incongruity of his statements proved exasperating. “When you answer the way you have, it suggests that the rule of law is crumbling at our feet,” said Representative Ted Deutch. Eroding the rule of law may well be the point. At the heart of the hearings are three disturbing questions: first, was Sessions involved in or aware of the Trump campaign’s possible collusion with Russia; second, did he obstruct the federal investigation by hiding what he knew; and third, is he planning to use his position to go after Trump’s enemies, as the plan to open a second special counsel into debunked Hillary Clinton conspiracy theories seems to indicate? These are the sorts of questions one generally asks in an autocracy, not a democracy. And unfortunately, autocratic tendencies are what we should expect from Sessions, who has long acted more as Trump’s personal attorney than as a protector of the Constitution and a public servant to the American people. The administration of “alternative facts” has sought from the start to dilute the value of truth — both to soothe Trump’s ego, but also because the value of truth is closely linked to the integrity of law. An experienced politician and prosecutor, Sessions is no fool, but it is in his best interest — and Trump’s — to play one. Doing so is not only a protective legal strategy, but part of a purposeful dissolution of legal norms. When truth erodes, and the law crumbles, an independent judiciary loses its rigor. In this formulation, Trump does not serve the law; Trump is the law, and Sessions is Trump’s willing servant. The degradation of the law is not limited to abuses by Trump and his inner circle, however. One can see it in the new wave of appointments of young conservatives being selected for lifetime positions, including one 36-year-old blogger, Brett Talley, who has never even tried a case. Talley was the fourth judicial nominee to be given the extremely rare “not qualified” designation by the American Bar Association; by comparison, no Obama appointee received it. Of the four lifetime federal judges to be unanimously voted unqualified since 1989, two were Trump’s picks. Trump’s priority in filling an appointment is speed: a stacked judiciary means a decreased likelihood that his policies will be effectively challenged. Having no qualms about abusing executive power, and lacking effective opposition in the legislature, the judiciary remains the greatest check on Trump, and so it is not surprising that he would try to radically reshape it. When the truth erodes, and the law crumbles, an independent judiciary loses its rigor. Trump’s presidency has left us with the unprecedented question of “To which country does my president’s greatest loyalty lie?” — a question which he seeks to avoid answering by any means, including enlisting Sessions to do things like fire James Comey. But while Sessions may lack Trump’s long-standing ties to Russia — he had little foreign policy experience throughout his career, making him a strange choice to head Trump’s national security board — he seems to share Trump’s distaste for the contemporary United States. In other words, Sessions is operating under his own conception of American values, and with it, his own conception of law — one that may take the US backwards, as numerous representatives noted. Key to this revisionism is the idea that white men like Sessions or Trump are not beholden to the same standards of accountability as others. But overall, Sessions seemed unconcerned with the repercussions of his words or actions — and why shouldn’t he be? Despite allegations of perjury and failing to list foreign contacts on his security clearance forms, Sessions has never been punished for his behavior. As one of Trump’s most loyal appointees, he is unlikely to be dismissed unless doing so will help Trump impede the investigation of Robert Mueller — an action which would also of course help Sessions, since he too is implicated in the Russian case. Session is both a perpetrator and a symptom of the Trump administration’s continual assault on truth and justice, one which threatens to create an enduring American autocracy as norms are shattered and legal positions are filled by unqualified partisans. Ultimately, it may be democracy and an independent judiciary that Americans cannot recall. 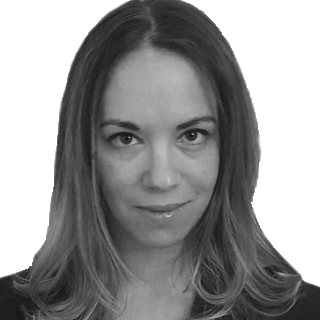 Sarah Kendzior is a journalist who lives in St. Louis, Missouri and covers politics, the economy and media.